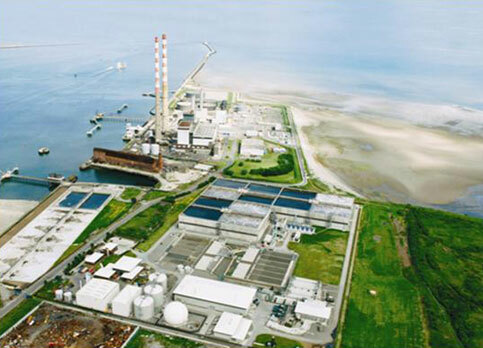 The Dublin Bay Project involved the expansion of the existing Ringsend primary treatment works to a full secondary 1.6M pe works with UV treatment of the final effluent during the bathing season. It is the largest WWTW designed and constructed in Ireland and was procured under the first Design Build Operate contract for municipal treatment works using a modified FIDIC Orange Book contract. Donal O’Connor was PH McCarthy’s project manager and Dara white was lead process designer and their inputs included the preliminary report, contract type selection and development, sludge treatment and disposal policy development, a separate sludge drying contract, a detailed SI contract as there are difficult ground conditions on the site and employers representative for the main DBO contract.